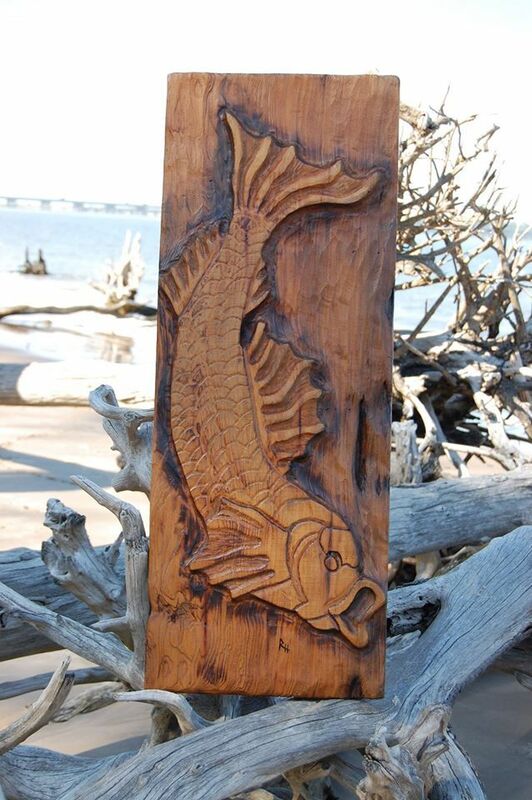 Hand carved from cypress wood. 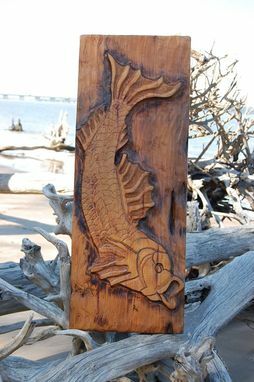 ALL of our unique pieces are hand carved, burned, inked, stained and sealed. Any Stain or Ink used is light fast so minimal fading is expected. No two pieces are exactly alike as I free hand carve everything. Custom Sizes require custom quote, please contact us to start a discussion!